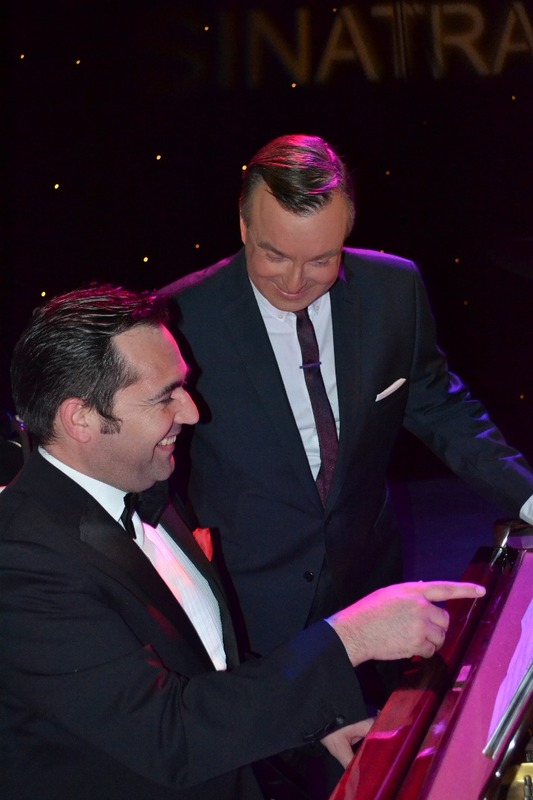 "The guests were super impressed with all of you and the selection of songs playe..."
Official UK Winner of The National Tribute Music Awards 2016! 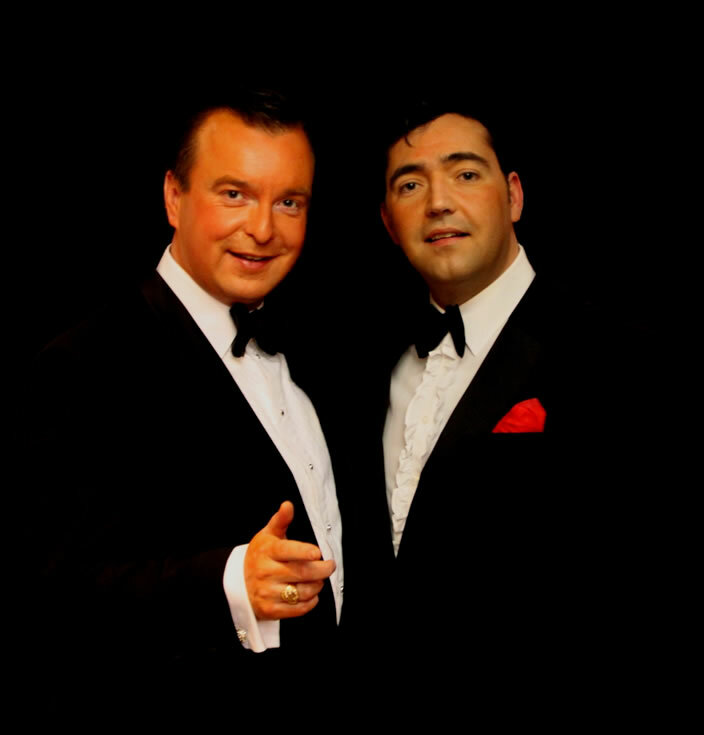 Authentic Sinatra and Martin show! Capturing the music, the personalities & the comedy of the original legends! Including hits such as The Lady Is A Tramp, My Way, New York New York and many more! Swinging big band and Vegas showgirls also available! 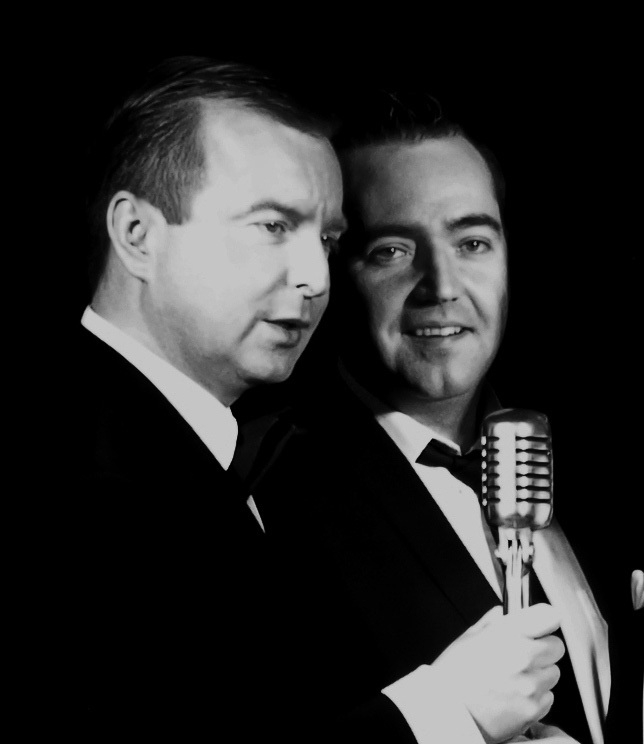 Standard lineup: Vocal duo with high quality backing tracks.  *Authentic Sinatra and Martin show! *Capturing the music, the personalities & the comedy of the original legends! *Including hits such as The Lady Is A Tramp, My Way, New York New York and many more! *Swinging big band and Vegas showgirls also available! 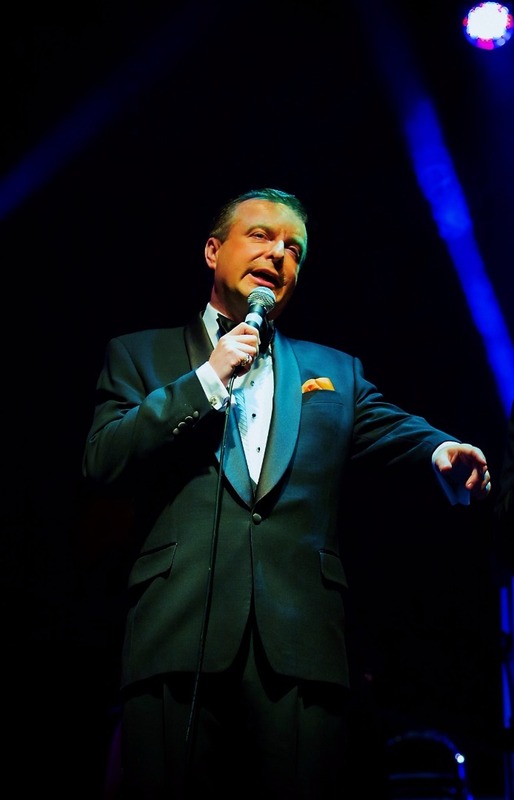 Sinatra and Martin Live perfectly captures not only the wonderful music and comedy of the original legends, but also the remarkable personalities of the stars who ruled the world of entertainment from The Sands Hotel in Las Vegas during the sixties. 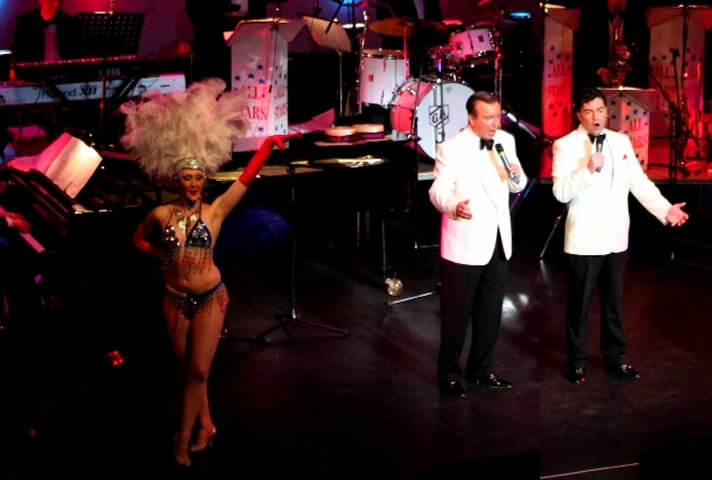 Featuring some of Britain's premier tribute artistes this outstanding production accurately recreates the legendary performances of the pre-eminent entertainers of their time. 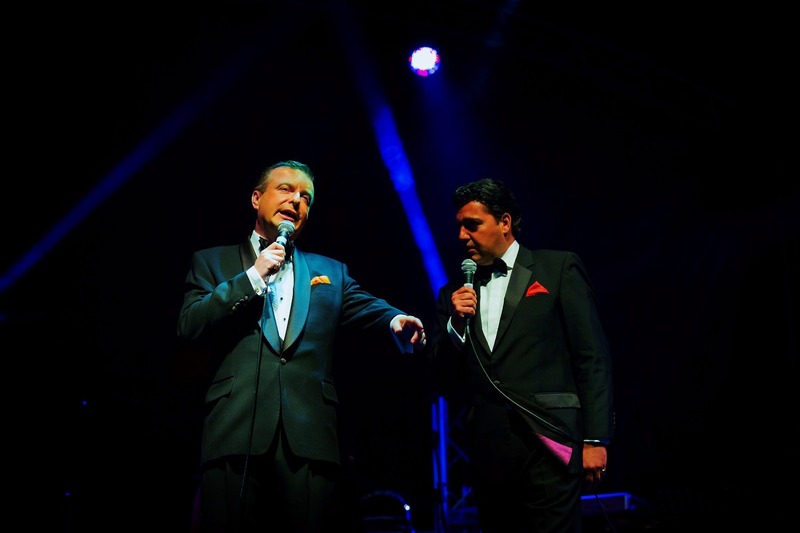 With amazing accuracy, the performers not only sing like their heroes, but also share their unique mannerisms, physically resemble them on stage and even talk like they are at the Sands taking part in one of Frank and Dean’s legendary parties! 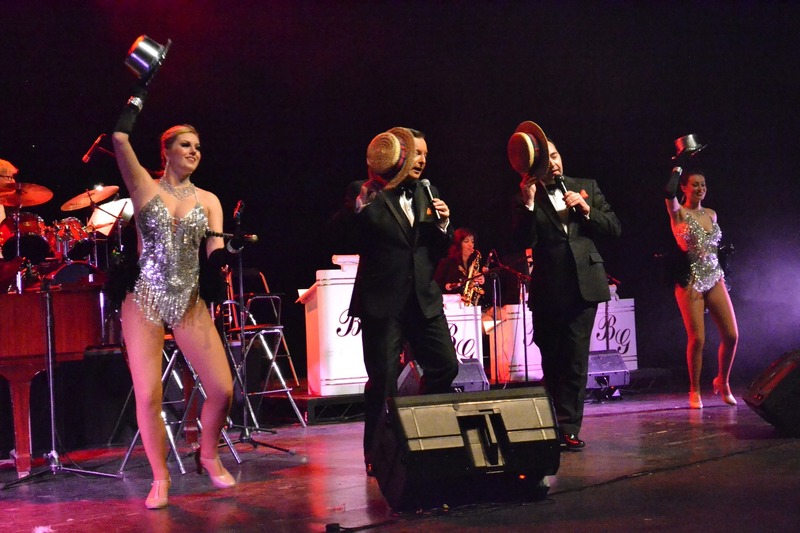 With high quality backing tracks as recorded by a live big band, the show includes all of the hit songs made popular by the legendary performers such as "Ain’t That A Kick In The Head", "The Lady Is A Tramp", "My Way", "Amore” and of course, ‘New York New York’. 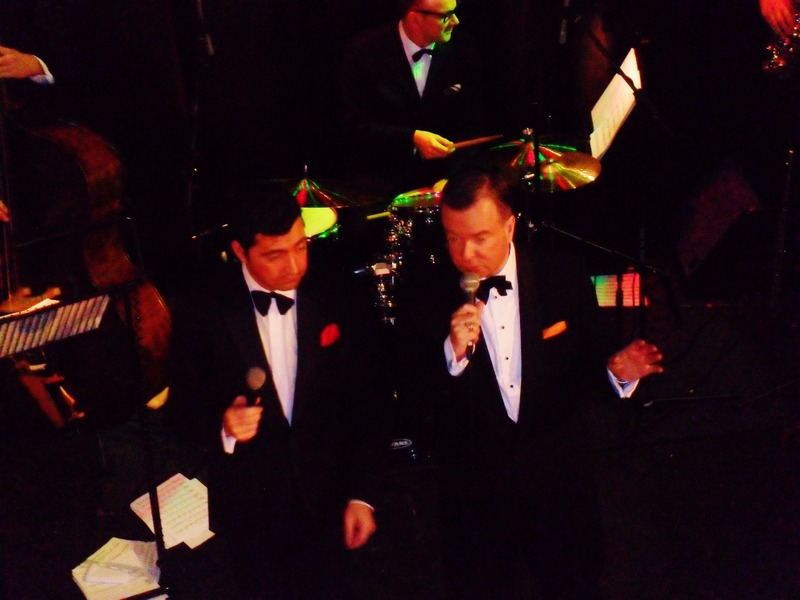 Sinatra and Martin Live can be backed by their own swinging big band led by Mr Don Hunt. 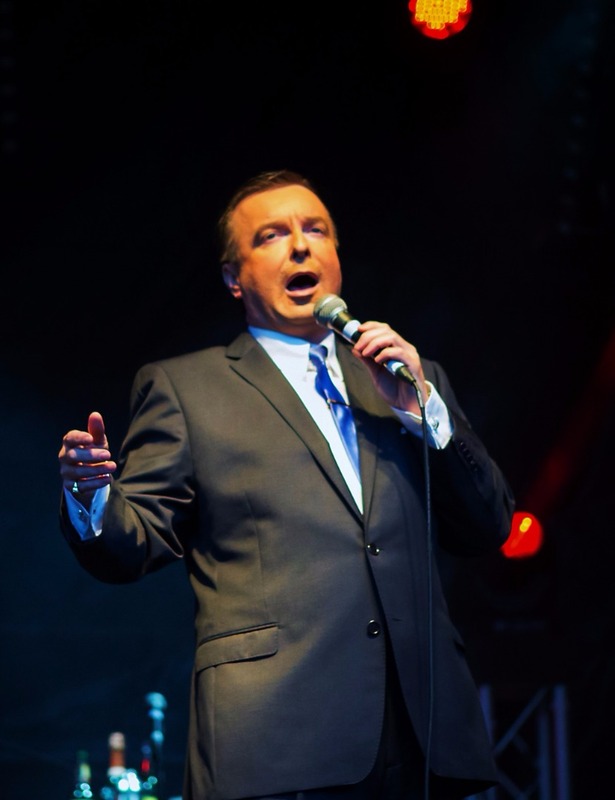 Mr Hunt has served as Bruce Forsyth’s musical director for over thirty years and during an amazing career has held the same role for the likes of Anthony Newley, Bing Crosby and even the real Sammy Davis Jnr! 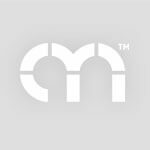 Many sizes of band are available, from a quartet to a 20 piece orchestra. Please see booking options or speak to your booking agent for more details. 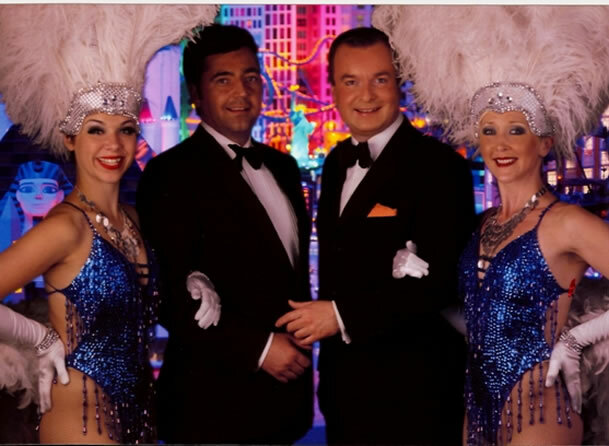 For the full Frank and Dean experience, why not have some Vegas Showgirls! Fully costumed, these fabulous dancers will bring you a unique night- Vegas style! Please see booking options or speak to your booking agent for more details. 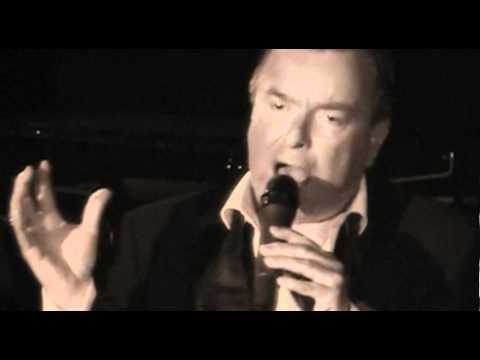 David Alacey plays Frank Sinatra in the Sinatra and Martin Live show. After working with the Vegas Legend - Buddy Greco, Buddy was moved to say that "This Guy Really is Sinatra" - quite a complement! But even this did not come close to the comment by Frank's daughter Nancy who said that David's recording of "New York New York" with a 35 piece orchestra for a new Atari PC game was "too close to my father’s recording" It really doesn't get better than that! 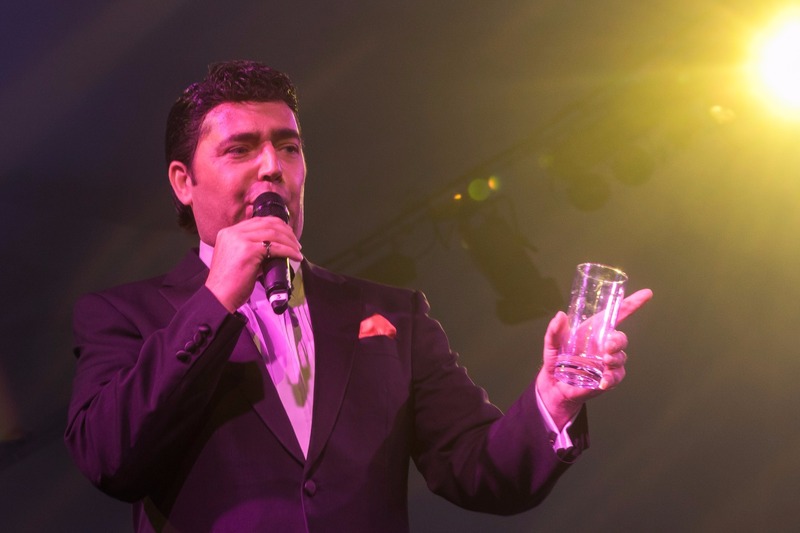 Paul Drakeley performs as Dean Martin and, like his hero, is also half Italian! The highlight of Paul's career was when his band was chosen to perform at a concert held at The Royal Albert Hall and he was asked to sing the Dean Martin classic "Volare" to over five thousand people. He was also honoured to be selected as a finalist in the prestigious "BBC Musician Of The Year" competition. Since then has worked all over the world as Dino. "David Alacey not only looked like Frank but he had the drawl, the wit and boy could he nail a tune and from looks to voice, Paul Drakeley was every inch the real deal as Dino!" "You guys really are TOP of the premier league! Your shows gets even better every time that we book you!" “Alacey seemed to have somehow imbibed the very essence of ‘ole blue eyes’ before coming on stage. His performance was breathtaking - seriously! The tone, the modulation and the rhythm in his voice throughout the evening was genuine Sinatra. His masculine charm was also apparent in his pristine characterisation and it was with effortless charisma he strolled into the audience and sang I’ve Got You Under My Skin while chatting and engaging with the ladies - just like the icon.